How do we pay it forward at Jacob’s Brew? At our coffee shop we donate a percentage of our revenue to our NGO Survivors Malta whereby funds collected are used to initiate projects to help families facing trauma. Projects such as JACOB’S COFFEE RUN; delivering free sandwiches and coffees to the families in the ITU waiting area at Mater Dei Hospital and the REUNITED PET CABIN; a designated room built on the grounds of the Hospital where pet visitation and pet therapy are made possible. We have only just begun with other projects in the pipeline and as a family we will not stop on our mission to continue to pay it forward by helping others! At Jacob’s Brew we also encourage and assist community projects such as CRAFT&COFFEE FOR CHARITY where donated wool is crafted into crocheted/knitted items to be given away to chosen causes bringing joy to the homeless, the needy and the sick alike. We also house THE TESSIE MONTEBELLO BOOK CLUB at our shop where books can be borrowed, swapped and donated by our loyal customers. 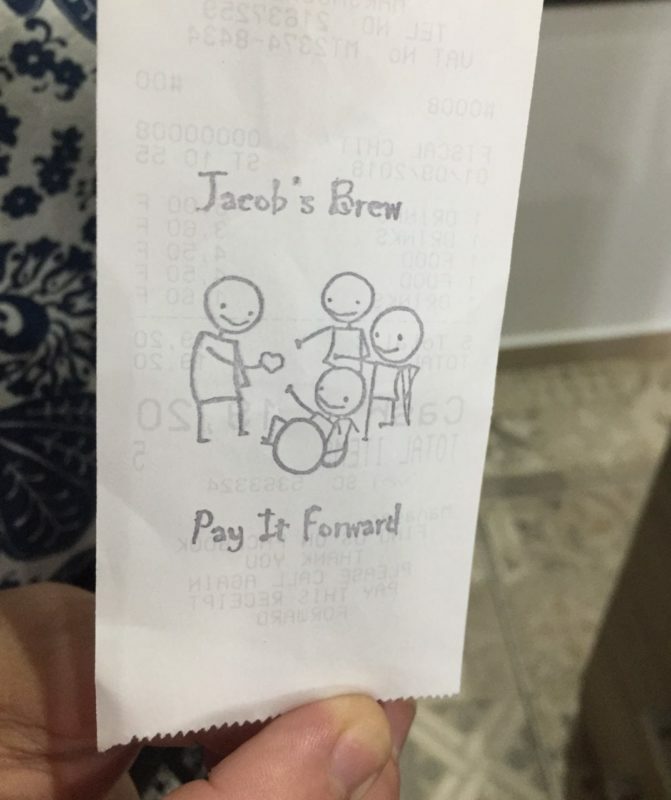 Also at our coffee shop when you pay your bill at the counter we stamp the back of your receipt with our JACOB’S BREW PAY IT FORWARD stamp so that you may pass your stamped receipt on to a family you may come across or even know of that are facing hard times and in need of support. They may return to the shop with their stamped receipt where we will offer them a free pot of coffee or tea and support from our support group SURVIVORS MALTA. Do you want to help us to PAY IT FORWARD? You can by booking your Staff High Tea …. Baby Shower …. 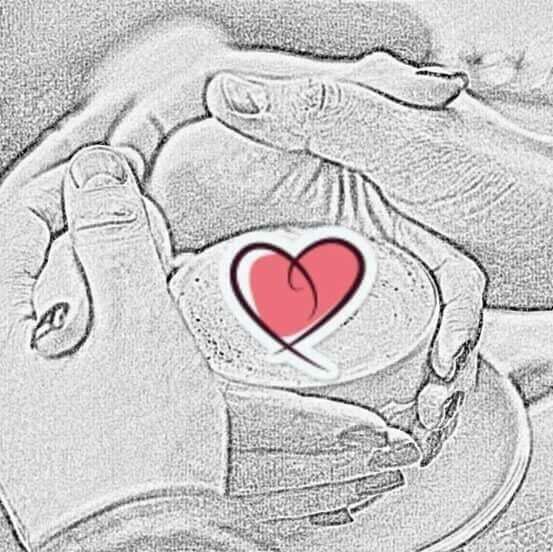 Birthday Party … Get Together or Reunion at our coffee shop with a ♥️. Or perhaps you would like to hold a staff meeting or support meeting in the meeting hub at the back of our shop for FREE!! Whilst doing so you will be supporting our cause as we donate a percentage of our revenue to our NGO Survivors Malta initiating projects to better the lives of families facing trauma!